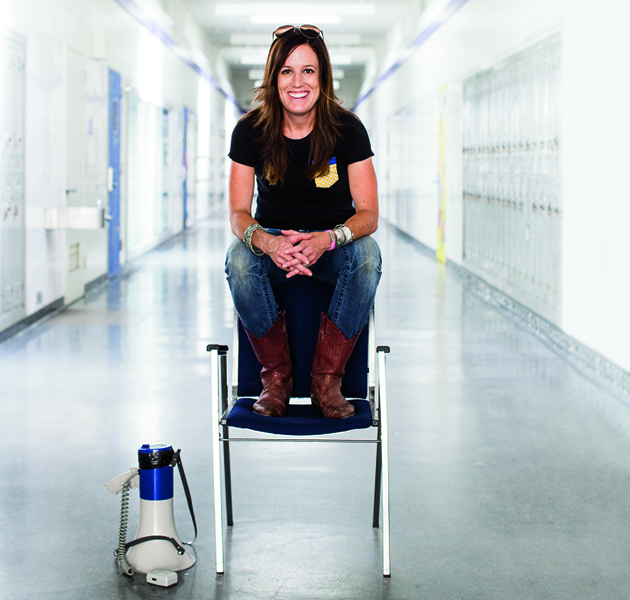 Executive director of the NorCal High School Cycling League to speak Tuesday in Santa Cruz. This story originally appeared in the Sept/Oct 2013 issue of Bike. Most of the people profiled on these pages are being recognized because of what they have already achieved. In the case of Vanessa Hauswald, her inclusion is a nod to what she is making happen right now, and what that might mean for the future. Vanessa is the executive director of the NorCal High School Cycling League, having arrived at this position after she started coaching the Casa Grande High School team in Petaluma in 2004, back in the league's infancy (the NorCal League was itself founded by Matt Fritzinger in 2001). From there she joined the NorCal League board of directors, and rose to her current position in 2010. Along the way, the NorCal League has grown to include 53 high school mountain bike teams, with more than 700 student athletes involved, and has experienced growth and vitality enough to inspire a National Interscholastic Cycling Association with active leagues in eight states. Hauswald is a spark of motivational energy, and has an infectious enthusiasm for her role that borders on zealotry. "I wanted to turn more teenagers on to the thrill, challenge and satisfaction of riding singletrack and being outdoors. I also wanted to help teenage girls gain confidence in their bodies, and ultimately, their lives, and I believe the bike is the perfect vehicle for that." The down-the-line ramifications of this league are yet to be fully realized. Right now, high school kids are learning how to be cyclists. They may become the energy that revitalizes cross-country racing. They may grow into lifelong cyclists and pass their passion along to their own children. They may become crusaders for trail access on public lands. One of them might be the next Charlie Kelly, hanging out with the future Larkspur Canyon gang.